What was stated by Stiglitz was articulated in the backdrop of the the global financial crisis and certain European actions. On March, 2008, the 27 Finance Ministers of the European Union (EU) displayed renewed determination to crack down on tax havens that trade in secrecy and facilitate tax dodging at the expense of honest taxpayers around the world. The Ministers discussed measures to strengthen information exchange, limit secrecy, and increase pressure on countries like Liechtenstein, Switzerland, and Singapore that too often help tax dodgers avoid paying their fair share. Compelling members of US Permanent Subcommittee on Investigations, Committee on Homeland Security and Governmental Affairs to say, "We applaud the EU's leadership, and call on the United States to strongly support the EU tax haven effort, and begin work with other international groups like the G-8 to combat offshore tax abuses. The U.S. Congress should also advance the worldwide clampdown on tax havens by enacting the Stop Tax Haven Abuse Act. "Each year, in the United States alone, offshore tax evasion produces an estimated $100 billion in unpaid taxes that could help pay for health care, education, and more. It's time to put an end to offshore tax dodging that robs the U.S. Treasury of needed funds. " 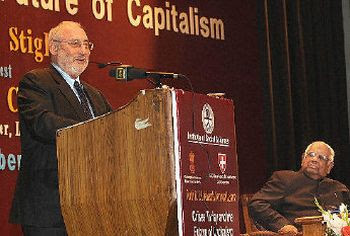 Earlier, Stiglitz had called for an end to bank secrecy in November, 2006, at Columbia University, New York. Now while the Bhartiya Janta Party (BJP) has released an interim report outlining action to bring back Indian wealth hoarded in secret Swiss bank accounts and other tax havens if BJP led National Democratic Alliance (NDA) forms the government after the elections, the Communist Party of India (Marxist)[CPI(M)] says, "The BJP led Government did nothing to review the tax avoidance treaty (Double Taxation Avoidance Agreement) with Mauritius during its tenure despite repeated demands by the CPI (M)." Even prior to the release of the Swiss Accounts Task Force Report, Sucheta Dalal, a senior business journalist wrote on April 7, 2009 "it is a fact that Indian money in Swiss banks is staggeringly high and could range from $500 billion to $1,400 billion (Rs70,00,000 crore)." She added, Ever since the Reserve Bank of India allowed Indians to invest $200,000 abroad, these bankers could solicit business openly. Contrary to what has been said, people and politicians do not have to make a detour to Switzerland to open, withdraw or transfer money from their accounts. S Gurumurthy, the leading chartered accountant says, "there are countries which help the generation of black money by their laws, and Switzerland is the most important of them. The Western nations felt that the financial system is getting destabilised because of the generation of black money. Black money in the West is not as much flight of capital as it is evasion of taxes. In India, it is both black money and flight of capital. Given below is a statement by Lal Kishanchand Advani, NDA's Prime Ministerial candidate made on 17 April 2009. He has written to the UPA government in April 2008 about the secret back accounts in Switzerland. On 29 March 2009, I had addressed a press conference in New Delhi and raised the important issue of vast amounts of Indian wealth stashed away in secret Swiss bank accounts and other tax havens around the world. The press conference was held against the backdrop of the G-20 Summit in London on 2 April, where the issue of illicit funds parked in tax havens was scheduled to be discussed. The country expected Prime Minister Dr. Manmohan Singh, who represented India at the G-20 Summit, to put across India’s concerns and expectation forcefully at this global forum. Disappointingly, he only paid lip service to the issue. In contrast, it was the OECD (Organisation of Economic Cooperation and Development) group of rich nations that were most vociferous in demanding an end to banking secrecy in countries like Switzerland. At my New Delhi press conference, I had stated that a future BJP-led government at the Centre, if elected, would bring India’s sovereign wealth back from foreign shores and use it for various ambitious developmental projects. I had also announced the formation of a Task Force to recommend specific steps that a future government may take to translate our promise into reality. I am pleased to announce that the Task Force has submitted its recommendations in the enclosed interim report. I sincerely thank members of the Task Force — Shri S. Gurumurthy (Chartered Accountant and investigative writer, Chennai); Shri Ajit Doval (Security expert, New Delhi); Dr. R. Vaidyanathan (Professor of Finance, Indian Institute of Management, Bangalore); and Shri Mahesh Jethmalani (Senior lawyer, Mumbai) — for the outstanding work they have done. The interim report of the Task Force is useful for four important reasons. Firstly, it has placed the problem of India’s wealth hoarded in secret bank accounts abroad in the context of a larger global menace, which western nations have now resolved to fight due to their own internal compulsions. Hence, it has rightly pointed out that India should become an active player in the global crusade against banking secrecy and tax havens. Secondly, the Task Force has correctly asserted that the “fact of the loot” cannot be questioned although there may be debate on the “maths of the loot”. Based on studies conducted abroad, the Task Force has mentioned that the Indian wealth in Swiss bank accounts and other tax haven may be in the range of $500 billions [Rs 25 lakh crores] and $1.4 trillions [Rs 70 lakh crores]. The credibility of these estimates is reinforced by the figure of $11.5 trillions (Rs. 575 lakh crore) officially given by the OECD (Organisation for Economic Cooperation and Development), a group of rich countries, at the G-20 Summit in London early this month as the amount of global wealth parked in various tax havens. Thirdly, the Task Force has highlighted the casual approach of the Congress-led UPA government in taking up this important issue at appropriate international fora. Spokesmen of the Congress party have even mocked at the BJP’s effort in this regard. My appeal to voters is simple: Punish the Congress that has no political will to fight corruption and crime money. The word “corruption” does not even figure in the Congress party’s manifesto! Fourthly, the Task Force has recommended specific measures as part of the Global and National Strategies to bring back Indian money from tax havens abroad. Step I: Creating a powerful public opinion in India is a pre-requisite for global response to India's requirements in regard to unveiling banking secrecy. The world respects powerful domestic opinion on global issues. India must first realize that this is the ideal time to act and join the global crusade against secret banks and tax havens. In the absence of a broad national consensus on the issue, only a determined leader with a committed team can create the strong national will needed for undertaking this serious agenda overcoming all attempts to impede the effort. Those who do not support the move should be seen as supporters of black economy. Step II: India should stop being a silent spectator to the G-20 efforts against secret banking and tax havens. It must become an active player and forthwith change the perception that it is not against secret banking and tax havens. Step III: India must immediately and effectively urge the German government to provide the details of the Indian names from the LGT bank’s secret records. The BJP, if voted to power, must send a special emissary to Germany, which is willing to give the details of Indian names in the LGT bank’s secret records. Step IV: India must strive for a coordinated global and multilateral effort, which is the only solution to undo the regime of banking secrecy. Step V: India has special needs beyond what the West is seeking to break banking secrecy. India should work with the West to get the OECD rules on internationally agreed tax standards. That global coercive action is working is seen from that fact that the G-20 threat to blacklist Switzerland and other tax havens is already beginning to yield results. Step VI: We recommend that India appoint a special ambassador with adequate knowledge of tax havens and secret banking issues to work with the G-20 specifically for framing India-friendly rules. Collection of travel information about persons visiting Switzerland and other tax havens. This should start with cabinet ministers and other high-profile political personalities. Monitoring tax havens that have high transaction frequency with India. India to become a full-fledged member of the Financial Action Task Force. Use of financial intelligence sharing for security purposes. Illegal money is a potential source of undermining national security. Therefore, we recommend that Indian intelligence agencies should be specifically tasked to collect intelligence on this count. Legislative support: Just as the Obama Administration is planning specific anti-tax haven laws, India should also target tax havens and secret destinations like Switzerland operating in India. We recommend that stricter laws should place the onus of proving their innocence on the accused if a prima facie case is made out. High Level Task Force: We recommend that the Government of India should constitute a high level Task Force with representatives from Finance Ministry, National Intelligence Agencies, Ministry of Law, RBI, SEBI, Economic Intelligence Units, Central Vigilance Commission, CBI and other experts to collect and process the information and start legal action wherever feasible. As large-scale kickbacks are reported from purchases made by some of the Ministries like Ministry of Defence, Ministry of Civil Aviation etc., their representatives could also be co-opted wherever necessary. The history of the illicit wealth holders should be brought out: We recommend that when India is able to unveil the banking secrecy through information sharing arrangement, it should get the names and amounts not just as of today but for the entire economic history of the account-holders. Responsding to the Swiss Accounts Task Force Report of the BJP, the Polit Bureau of the CPI(M) has issued the a statement BJP’s Swiss Accounts Task Force Report: A Self Goal Given below is the statement of the CPI (M)released on 18 April 2009. Mr. L.K. Advani released a report of a task force constituted to recommend measures to bring Indian funds illegally stashed away in Swiss banks and other tax havens, yesterday in Mumbai. This BJP’s task force report quotes (page 8) from a study by Washington based Global Financial Integrity: “The GFI study shows that during the period from 2002 to 2006, annually $27.3 billions were stashed away from India”. If this is true, then nearly $55 billion worth of illicit transfers occurred in the two year period, 2002 to 2004, under the BJP-led NDA Government itself, in which Mr. Advani was the Deputy Prime Minister and the Home Minister. What did he do to prevent such illegal transfers when he was in power? The BJP’s task force has arrived at a total figure of Rs. 25 lakh crore of Indian wealth being held in tax havens on the basis of the following argument: “So the amount of Indian black wealth secreted away in the last 60 years – estimated at from $500 billions [Rs 25 lakh crores] to $1400 billions [Rs 70 lakh crores] – does not seem to be wide off the mark, if the GFI estimate for the 5-year period 2002-06 is considered.” Going by the BJP’s estimate, around $ 164 billion or over 30% of the total stock of illicit money would have been accumulated during the six years of NDA rule! The task force report is nothing but a hoax to cover up for the misdeeds of the erstwhile BJP led Government. The BJP led Government did nothing to review the tax avoidance treaty (Double Taxation Avoidance Agreement) with Mauritius during its tenure despite repeated demands by the CPI (M). The Mauritius route remains to be the largest conduit for the evasion of capital gains tax and corporate taxes, as far as India is concerned. Mauritius accounts for 44% of cumulative FDI inflows into India from April 2000 to November 2008. In contrast, the US and the UK accounts for only 8% and 7% of India’s FDI inflows. It is clear that foreign companies are using the Mauritius route to evade Indian taxes. The BJP’s task force is completely silent on this aspect. The BJP task force report (page 16) mentions about Participatory Notes and claims: “Actually the Indian rules permit a Switzerland in India. How can India call for action against Switzerland when it permits a mini-Switzerland in India?” However, FII investment through the non-transparent Participatory Notes was permitted without any restriction during the NDA rule too, so much so that by the end of its tenure in 2004, investments under the PN route accounted for nearly 50% of total FII inflows. What credibility does the BJP has to criticize these policies today? The CPI (M) and the Left Parties have been consistent in demanding a thorough review of the tax avoidance agreements with Mauritius and other countries, banning of Participatory Notes and restoration of the long-term capital gains tax which was abolished by the BJP led NDA Government in 2004 in order to encourage the speculators. It is another matter that the Congress led UPA Government, given its proclivity to appease speculative financial interests, did precious little to salvage the situation. The global financial meltdown and economic crisis has brought the issue of tax evasion by corporates, financial entities and the super-rich into sharp focus. Governments across the world are taking steps to crack down on tax havens like British Virgin Islands, Cayman Islands etc. The Swiss Banks are being asked to disclose information on their account holders in order to track down assets built through tax evasion. The Indian Government, however, has so far remained impervious to this growing global concern. In a press release dated 23rd February (much before this issue appeared on BJP’s radar) the CPI (M) had demanded: “It is imperative that the UPA government demand from Swiss banks and from banks in tax havens details of accounts of Indians. In the case of India, it is not only a case of tax evasion but also of funds being illegally stashed abroad, or, used for money laundering. If the government is serious about stopping black money and raising resources to meet the growing economic crisis, it must take steps to bring back the unaccounted, or, ill-gotten wealth of Indians abroad”. Congress on 20 April, 2009 invited the BJP to a serious debate on black-money stashed abroad. "Capital flight from India is a serious issue and should be debated seriously. 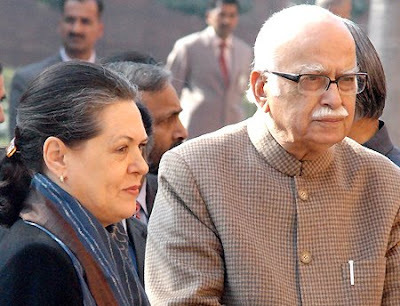 But Mr L K Advani's data is very shaky and is based on mostly bogus sources," Congress Election Coordinator and former Union Minister Jairam Ramesh told PTI. Ramesh said the Global Financial Integrity (GFI) report of the Washington-based Center for International Policy was the only credible source of information for the BJP task force. While the GFI report arrives at a figure of USD 100 billion for "illicit financial flows" from India between 2002-2006, several Indian economists Ramesh has interacted with on the issue suggest that the report talked only about the gross outflows. "If net outflows are matched with the capital account, there is a negative net outflows," Ramesh said. Ramesh further said he asked GFI study author Dev Kar on the route through which capital flight is taking place. "He (Kar) said categorically that all this (illegal outflows) are because of under-invoicing of exports and over-invoicing of imports", Ramesh said. The study covered the period 2002-2006 when "we had both the NDA and UPA governments. What did BJP do then?," he added. Nearly USD 55 billion worth of illicit transfers occurred in the two year period, 2002 to 2004, under the BJP-led NDA Government itself, in which Mr Advani was the Deputy Prime Minister and the Home Minister. 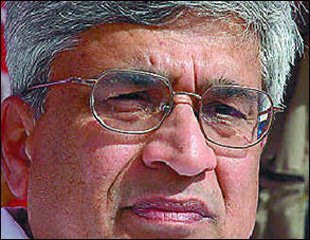 What did he do to prevent such illegal transfers when he was in power?," asks CPI (M). So far Sonia Gandhi has not spoken on this subject.